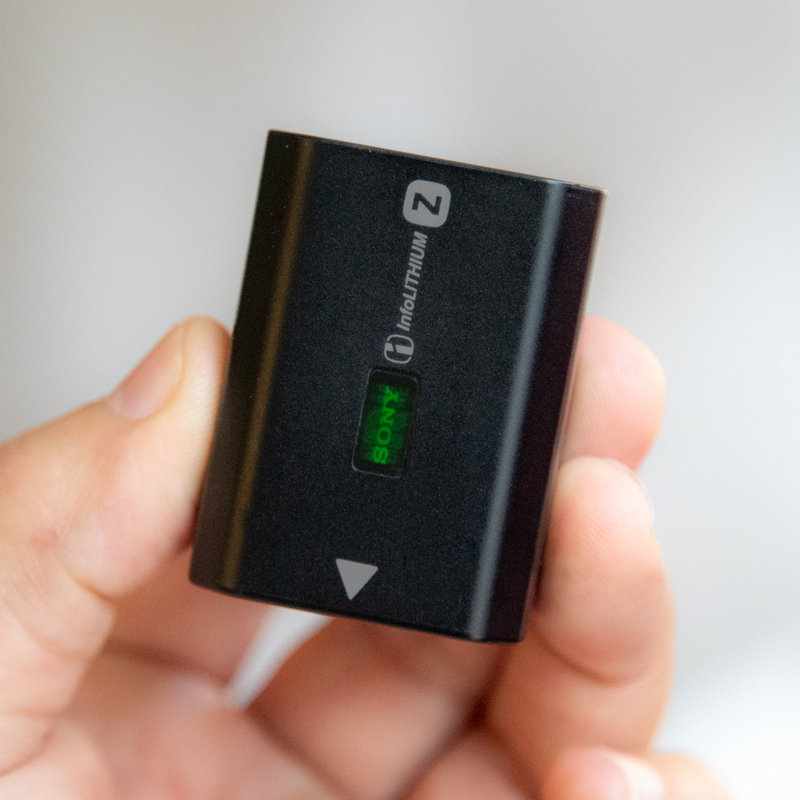 The United States Department of Transport has officially prohibited the transport of lithium-ion batteries as cargo on passenger aircraft. This comes as little surprise, given the fact that a similar rule has been in place in most other parts of the world since 2016. This is a little strange as I thought this rule was already in place in the US. 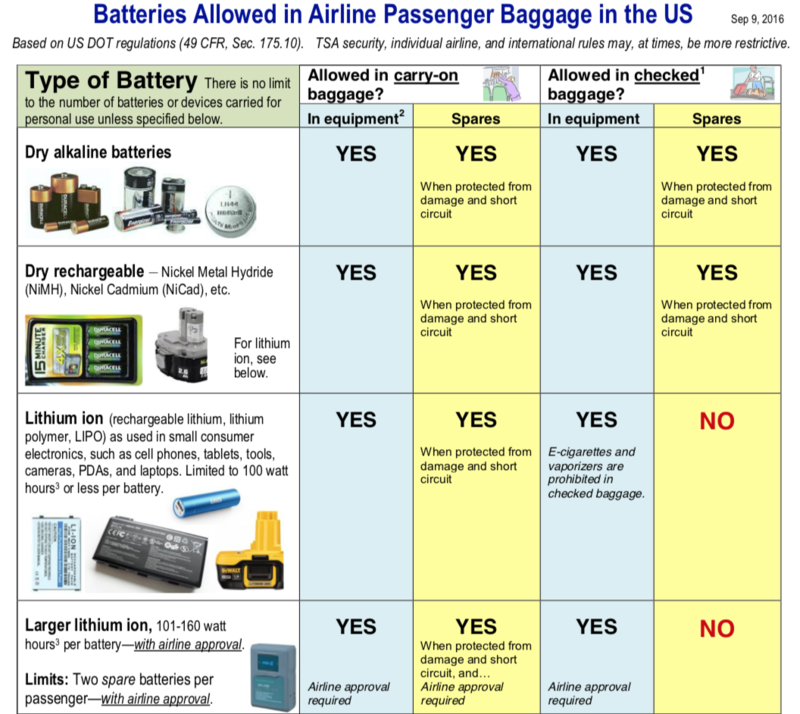 An FAA fact sheet from August 28th, 2018 clearly states that Lithium-ion batteries cannot be placed in checked luggage and have to be hand carried. In fact, even documents issued back in 2016 also state Lithium-ion batteries cannot be placed in checked-in bags. I think this is mearly the United States Department of Transport implementing a law that what was pretty much already put in place by the FAA. In addition to these new regulations about carrying Lithium-ion batteries on passenger aircraft, the IFR (Interim Final Rule) from the Department of Transport also requires lithium-ion cells and batteries to be shipped at not more than a 30 percent state of charge aboard cargo-only aircraft. Just to be crystal clear, this 30% charge rule only applies to Lithium-ion batteries that are being shipped via cargo planes, it does not apply to carry on rules on commercial passenger aircraft. So what does this actually mean for people in our industry? Well, quite simply, you can’t check any of your Lithium-ion batteries in when you fly. Any batteries you have must be taken on board as hand carry. It also makes buying Lithium-ion batteries and having them sent out via air a little more tricky as whoever is sending them needs to make sure they have a maximum 30% charge and they can only be sent on specific cargo aircraft. Limits the use of alternative provisions for small lithium cell or battery shipments to one package per consignment. 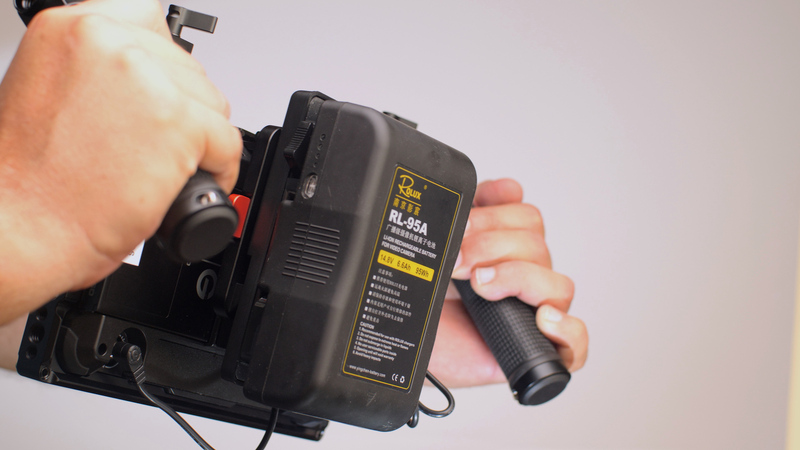 This IFR does not restrict passengers or crew members from bringing personal items or electronic devices containing lithium cells or batteries aboard aircraft, or restrict cargo-only aircraft from transporting lithium ion cells or batteries at a state of charge exceeding 30 percent when packed with or contained in equipment or devices. The reports states that the safe transport of lithium batteries by air has been an ongoing concern due to the unique challenges they pose to safety in the air transportation environment. Unlike other hazardous materials, lithium batteries contain both a chemical and an electrical hazard. This combination of hazards, when involved in a fire encompassing significant quantities of lithium batteries, may exceed the fire suppression capability of the aircraft and lead to a catastrophic loss of the aircraft. The number of Lithium batteries being used has increased due to their ability to store substantially more energy than other batteries of the same size and weight. More than 7 billion lithium-ion cells were produced in 2017. The PHMSA identified a total of 39 incidents in air cargo transportation between 2010 and 2016 with 13 of these incidents involving lithium batteries and smoke, fire, extreme heat, or explosion that would have been affected by this rulemaking. 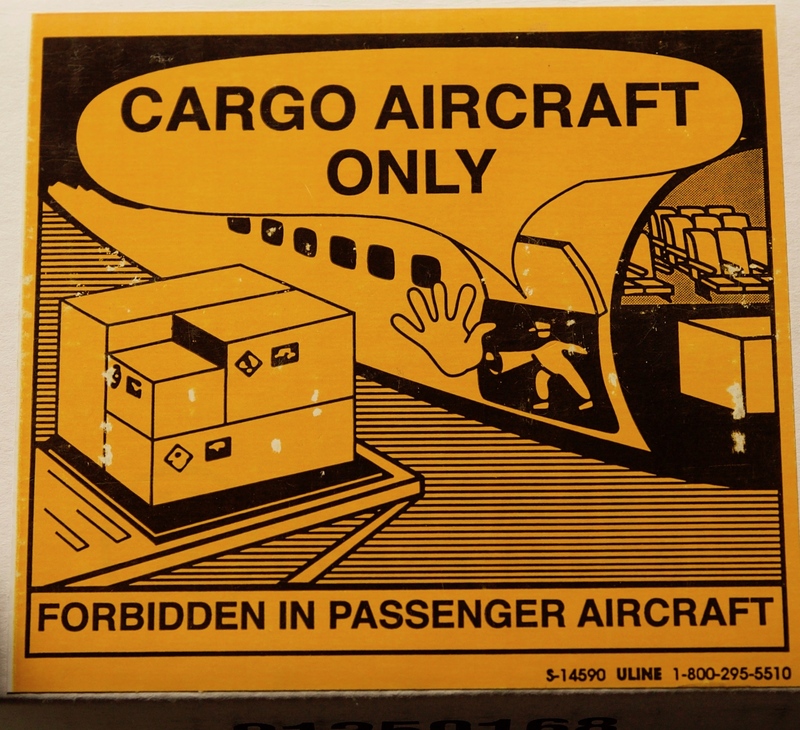 Many of these incidents were identified at an air cargo sort facility either before or after a flight. In at least one instance, packages of lithium-ion cells were found smoldering in an aircraft unit load device during unloading. • February 7, 2006: Incident at the Philadelphia International Airport in which a fire suspected to have been caused by lithium-ion batteries destroyed a cargo aircraft and much of its cargo. • September 3, 2010: Dubai, United Arab Emirates, a 747-400 cargo aircraft (U.S. flag) crashed while attempting to land at the Dubai International Airport after a fire was discovered. Both pilots were killed, and the aircraft and its cargo, which included a significant quantity of lithium-ion batteries, were destroyed. • July 28, 2011: The Republic of Korea, a 747-400 cargo aircraft crashed into international waters. The two pilots aboard the flight were killed. The Korea Aviation and Railway Accident Investigation Board determined that the cause of this accident was a fire that developed on or near two pallets containing hazardous materials packages, including hybrid-electric vehicle lithium-ion batteries and flammable liquids. Way back in 2015 aircraft manufacturers recommended that operators who choose to carry lithium batteries as cargo on cargo aircraft conduct a safety risk assessment that considers specific criteria. The major airframe manufacturers also recommended that operators perform a safety risk assessment to establish whether they can manage the risks associated with the transport of lithium batteries. The ICAO Technical Instructions set minimum standards for the international air transport of hazardous materials—including lithium batteries. These new United States Department of Transport regulations create consistency in hazardous materials transportation standards both internationally and domestically.